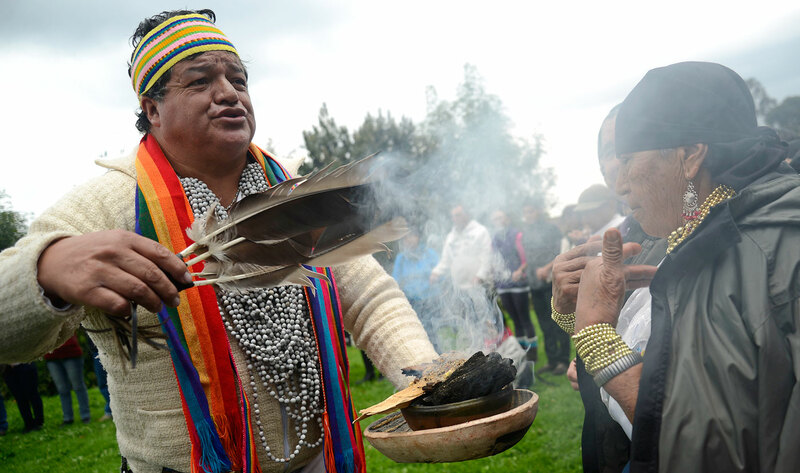 A group of shamans, or medicine men, performed Monday a ritual at a Lima handicrafts fair to plead for peace in the world and ward off a war between North Korea and the United States. 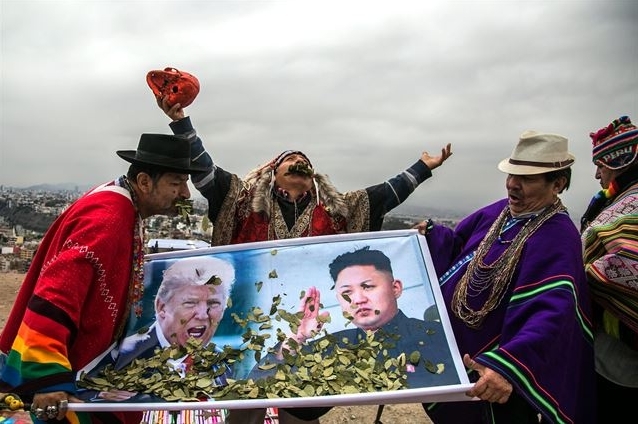 Shamans carrying musical instruments, flowers and candles, placed photos of US President Donald Trump and of North Korea's supreme leader Kim Jong-un on an altar to beseech peace and deter a third world war. "A ritual of continental peace has been performed, above all for the United States and North Korea, which, because they want to show off their war-making power, think about starting a third world war and that can go nowhere," shaman Juan Osco told EFE. "We have placed hot spices, incense, herbs, spirits and skulls on the altar because they plead for peace so there will be no more unnecessary deaths," the medicine man said. Both groups of photos were also crowned with "the sword of punishment" and were given a "spiritual rebirth" with essences of plants and herbs to "calm their anger," Osco said. The ritual also included Venezuelan President Nicolas Maduro, so that he might be moved to think about what is best for his people and "step down from power," as the opposition in that country demands. 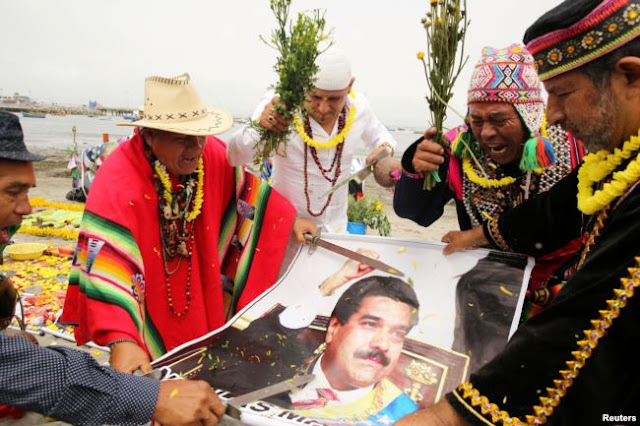 The shamans in the downtown park of Campo de Marte performed a ritual to "counteract" Maduro and put an end to the protests that have left dozens dead in Venezuela over the past few weeks. Responses to "Peruvian Medicine Men have performed a ritual for world peace"
We need more rituals, and prayers...less inflammatory and insulting judgments of whole groups of people. Maybe if all parties just all sat down together and chewed some of those coca leaves they could figure out how to coexist in this world and appreciate the experience of living and existing is this world without involving the rest of us in a nuclear Holocaust..